At the start of the year, we realized that our website needed an upgrade, and we started looking for partners to help us achieve a new look that better represented our brand. We chose to work with the team at NgageContent in Cleveland, and they helped us turn our website into a high-functioning tool for our entire team. Along with redoing the overall design of our site, they built a platform where visitors can gain a better understanding of our heritage of excellence and everything our team has to offer. Here’s a look at what our all-new website is designed to do. Our old site allowed visitors to see our current listings, but that was about it. With our new design, visitors can search through all our firm’s listings as well as outside listings within the area they’re looking. We share these listings from the Multiple Listing Service (MLS). Plus, with filtering, there are plenty of ways to narrow down your search to find exactly what you’re looking for in the perfect home. Looking for listings in a particular community? No problem. Need to set a specific budget range. Check! Need a larger home for a growing family? Easily narrow your search by square footage and the number of bedrooms. Each listing now also includes more information and provides options for next steps. You can sign up to find out when new homes become available, contact one of our agents directly, see data related to the home’s location, and more. We’ve also made our extensive team more accessible by including more information about who they are and how to reach them on our site. With 43 REALTORS® across North Central Ohio on our team, we wanted to make sure that each of them was able to be well-represented and easy to reach should you already have one of them in mind. 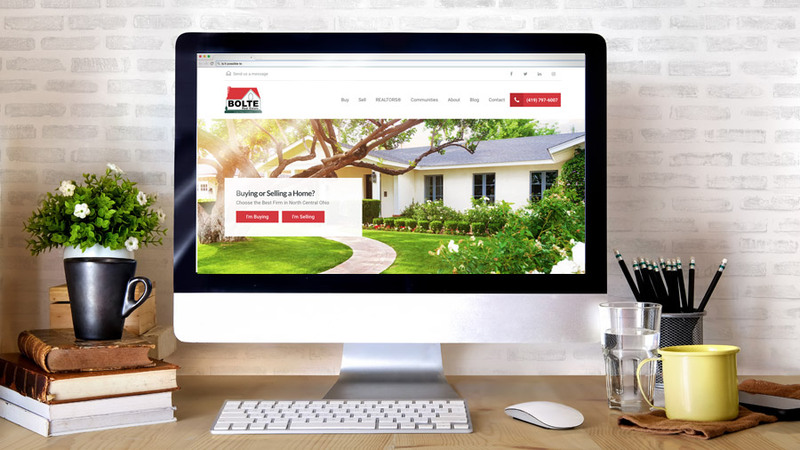 All of our REALTORS® also have a page on the site that includes their story and professional background, how to contact them, and their specific listings as well as recent home sales. There’s also a quick access contact form which makes it easy to engage with whomever you choose to work with. As for the rest of our site, we set a goal to broaden the reach of our brand. We wanted to touch everyone in our service area online so our heritage of excellence could continue to serve people from the comfort of their home. We’re doing this by representing all the communities in North Central Ohio that we work with, and by sharing information on those communities to help people make more informed decisions about where they want to move. We’re also working to make both the buying and selling process easier to understand by creating guides that discuss the responsibilities buyers and sellers face as well as general information about what happens during a real estate transaction. While we take most of the work off your shoulders, it’s still a big process to take on, and we’re always looking for ways to make it easier! If there’s anything you’d like us to share, don’t hesitate to reach out. We’ve had our new site for a couple months now, and we’re loving how it’s helping both our agents and visitors on a daily basis. You can check it out for yourself by taking a look at our new listings view and reading some of our new guides. 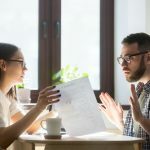 What You Should Know About Being in a Multiple Offer Situation How Do Interest Rates and the Housing Market Work Together?